Pass out piece of tissue paper, glue sticks and white paper. 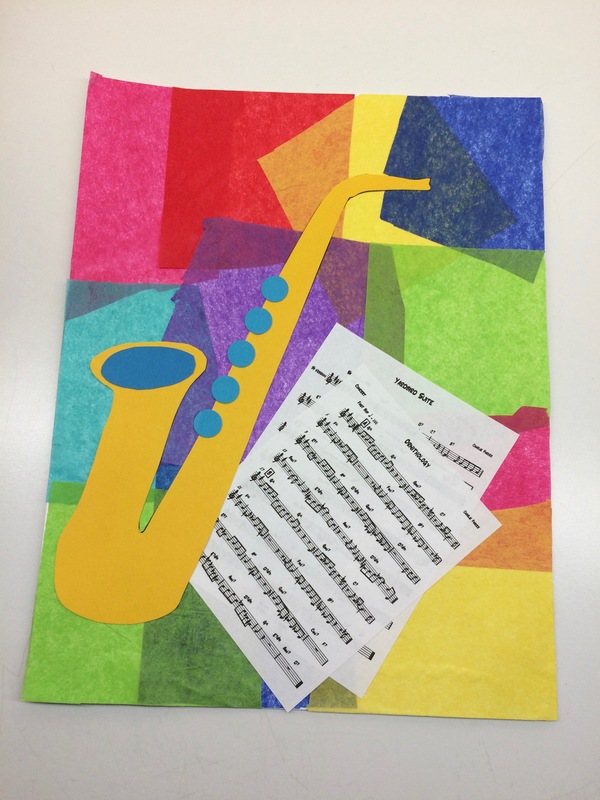 Let’s make a beautiful background by gluing pieces of colorful tissue paper on the paper. 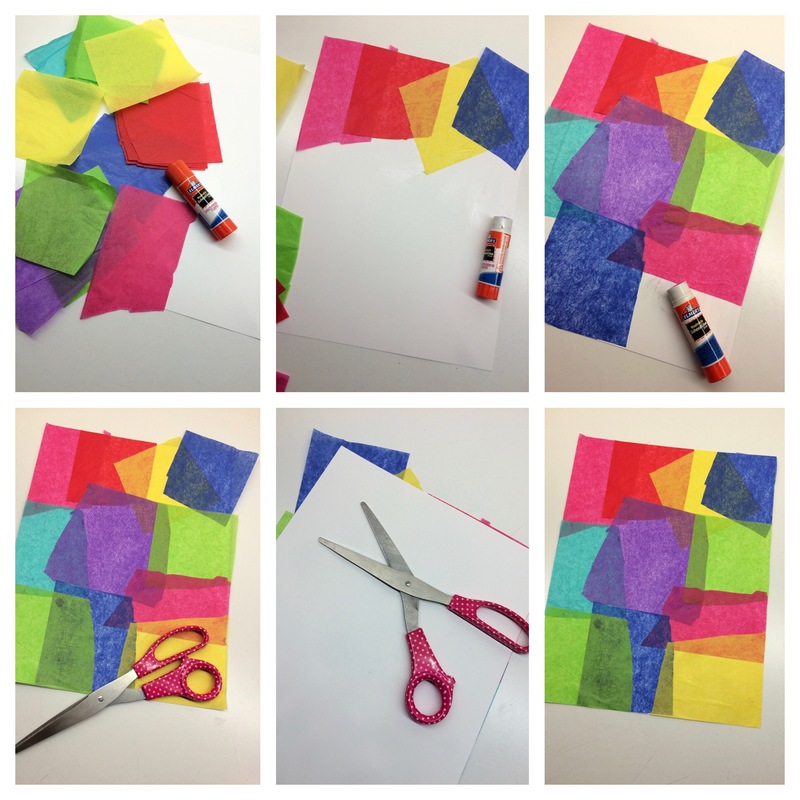 Layer the different colors, noticing how the areas where you overlap make new colors! 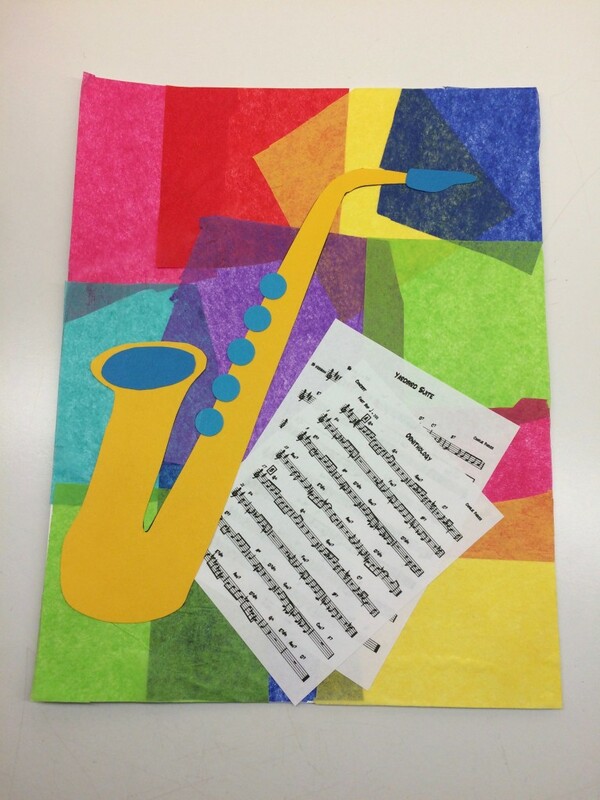 Step 1 (create background): Using a gluestick, glue your piece of tissue paper on your paper, covering the entire paper. It’s ok if you go over the edge: adults can help children trim the excess by turning the paper over to see where the extra paper is! Pass out small sheet music. Charlie Parker wrote these songs! What do kids see on the paper? (Notes, words, symbols!) 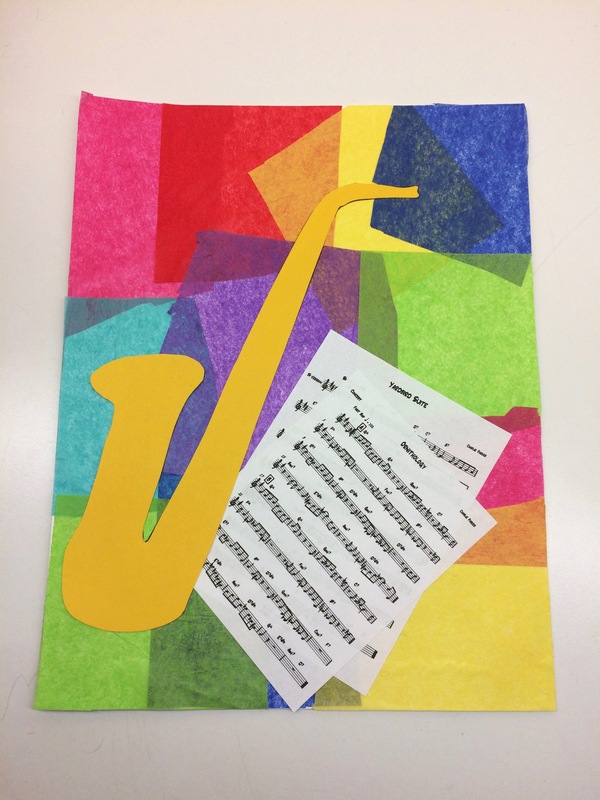 We’re going to decorate our collage at the end with lots of music notes! 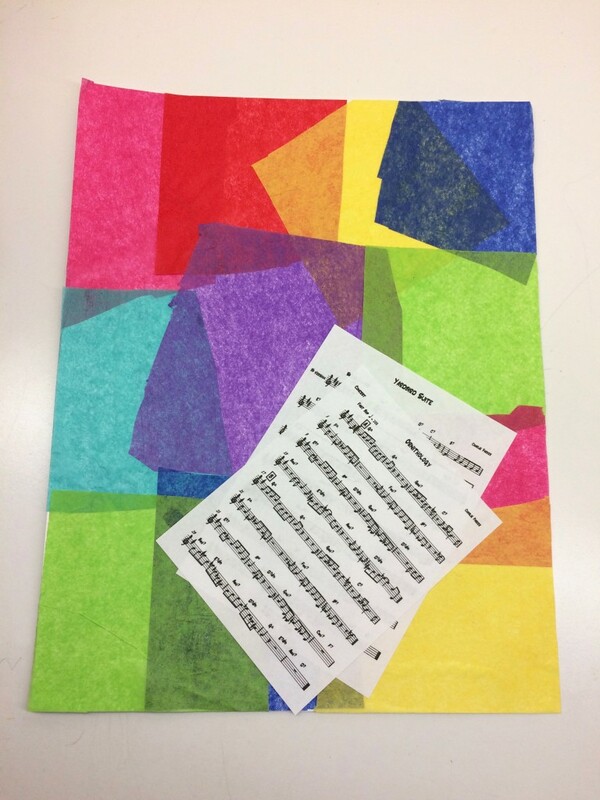 Step 2 (sheet music): Glue sheet music to your background. Pass out saxophones. Ask children to help you identify which is the top and the bottom. Look at real saxophone to see which way it goes! Our next step is adding the bell’s hole. This is where the sound comes from! Step 4 (saxophone bell): Glue bell on saxophone. To change the pitch on a saxophone, musicians need to press the keys to cover the holes on the saxophone! Show with real saxophone. Pass out small paper circles for keys. Step 5 (saxophone keys): Glue keys on the neck of the saxophone. To make a sound, saxophone players need to blow into a mouthpiece attached to top of the next. Show saxophone mouthpiece. Let’s add a mouthpiece to our saxophone! Step 6 (saxophone mouthpiece): Glue mouthpiece to saxophone. Time to add our bird in honor of Charlie Parker! Step 7 (bird): Choose a bird and glue it to your collage. Our last step is adding the music notes! Notes are symbols that tell musicians what to play. It can tell them to play a low note or a high note and tells them how long to hold the note. 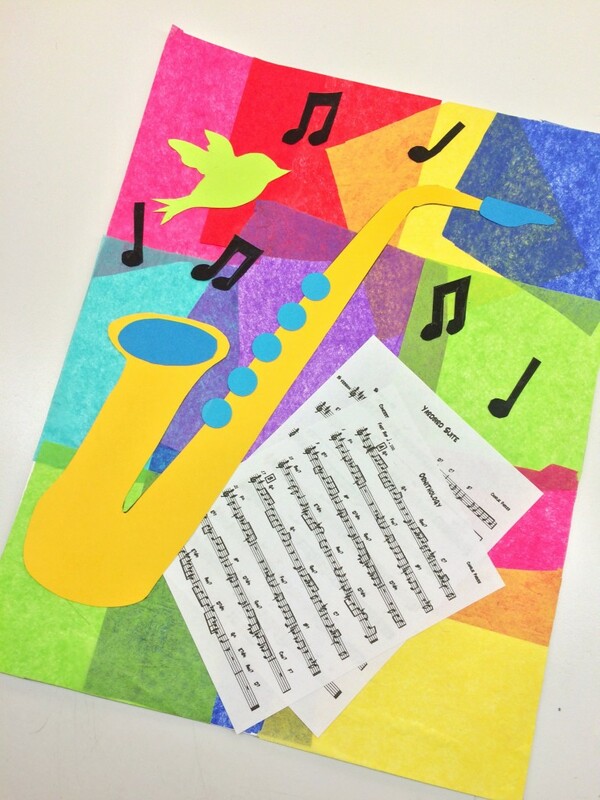 Step 8 (music notes): Glue music notes to your collage. 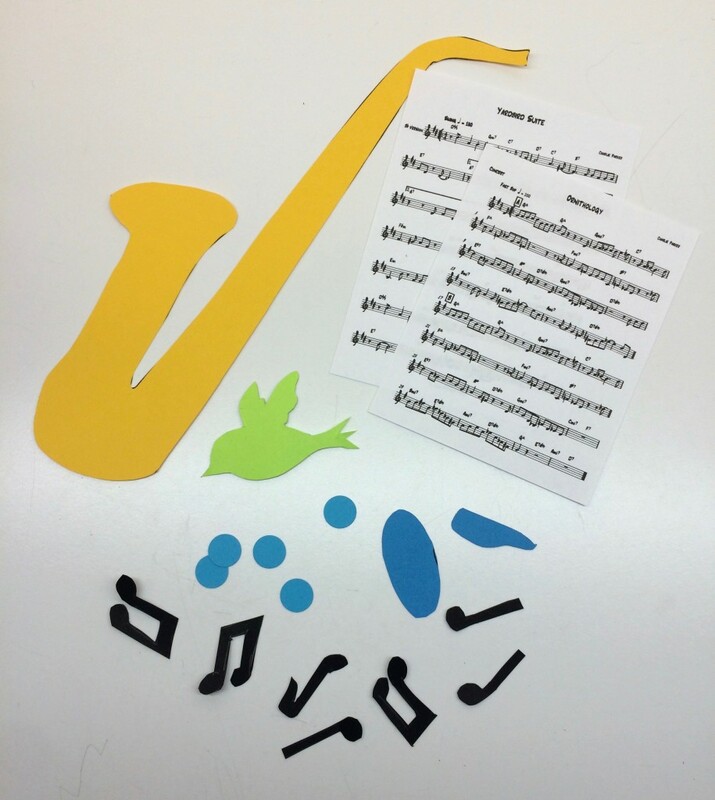 Let’s play along with Charlie Parker on our own wind instruments! Pass out a recorder for each child. We play our recorders very similarly to our saxophone: we need to blow to make a sound and move our fingers over the holes to change the pitch. 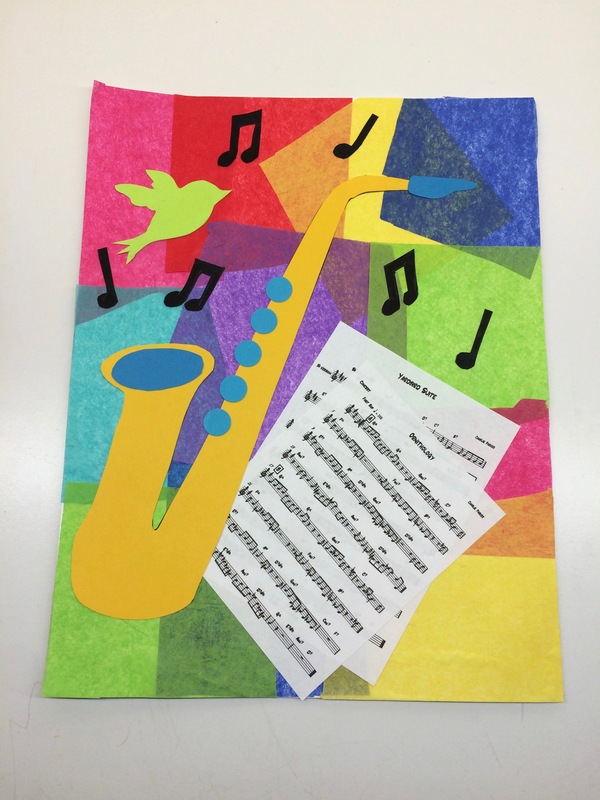 First, warm up with a simple song like “Mary Had a Little Lamb” then jam out along with a recording of Charlie Parker!